Supporting and driving conservation initiatives in Cape Town. 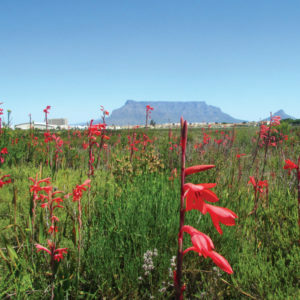 The City of Cape Town embarked on a conservation strategy, identifying critical areas of conservation importance across the City resulting in the creation of the Cape Town Biodiversity Network (Bionet), considering state and privately owned land for the creation of Core Biodiversity Areas (CBAs) and corridors connecting them. Given the Municipal Finance Management Act, it is not possible for the City of Cape Town to ensure implementation of the Bionet across the city as they are unable to use public funds on private land. To address this the Nature Care Fund was born in 2007 so as to act as a funding conduit for conservation projects around the city. Each of the conservation areas has a dedicated conservation manager who is supported through the Nature Care Fund. These individuals monitor manage the sites and their teams, and carry out every-day conservation duties. Since the establishment of the first conservation area in 2007, the Nature Care Fund has continued to expand its conservation efforts entering discussions with developers and stakeholders to try and ensure the protection of important conservation areas, exploring various funding models to ensure the long-term management of these sites. All current sites have long-term funding agreements in place. In partnership with the Atlantic Beach Golf Club and the City of Cape Town, this is an important ecological corridor between the Blaauwberg Nature Reserve and the Melkbos/Koeberg conservation area which will be maintained through conservation of the 22ha of Dune Strandveld protected within the golfing estate. Contained within the Kenilworth Racecourse is 52ha of one of the last and arguably the most important conservation sites of the critically endangered vegetation Cape Sand Plain Fynbos, hosting a number of rare and endemic plant and animal species found nowhere else in the world and the remarkable story of reintroduction of a plant species, Erica verticillata, that was extinct in the wild. 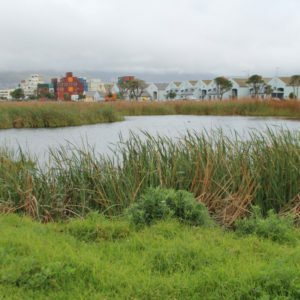 Nestled in the heart of the Milnerton racecourse is a remnant patch of 19ha of Cape Flats Sand Fynbos, containing 333 plant species 34 of which are Red Data species. Despite being of such small size a population of grysbok remains and evidence of their low browse line can be seen when going on one of the seasonal walks through the reserve. 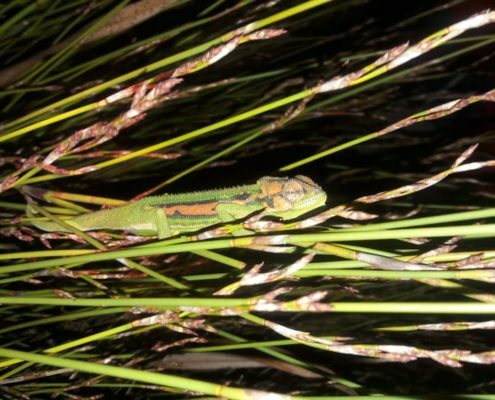 The Muizenberg East Biodiversity Cluster is a result of the Environmental Authorisation coming out of the Development application process – as a consequence, a number of small conservation areas of 2-9ha are distributed through an urban matrix. The vegetation is endangered Cape Flats Dune Strandveld and some of the sites contain critically endangered flora and fauna. Despite the sites appearing seemingly isolated there is enough connectivity to allow for movement of game with camera traps revealing cape grysbok, porcupine, small spotted genet, water mongoose, cape spurfowl moving between the sites. The Princess Vlei is the gateway to the wetland system that runs through Grassy Park, purifying the water before it runs into the sea. This is a site with unique social environmental value and was until recently under threat of the development of a shopping mall. 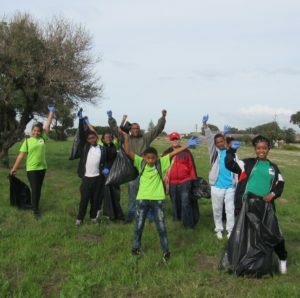 The Princess Vlei Forum is a nonprofit organisation comprising individuals and organisations to ensure the ongoing conservation of the Greater Princess Vlei Conservation Area (GPVCA) for the benefit of communities and nature. CTEET is working with the Princess Vlei Forum to protect and conserve Princess Vlei. 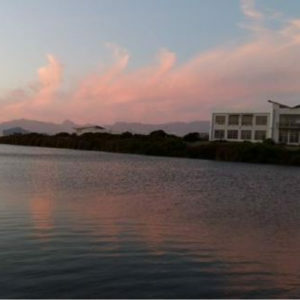 This section of the Table Bay Nature Reserve is situated between Paarden Eiland Industrial Centre and the suburbs of Rugby and Brooklyn. 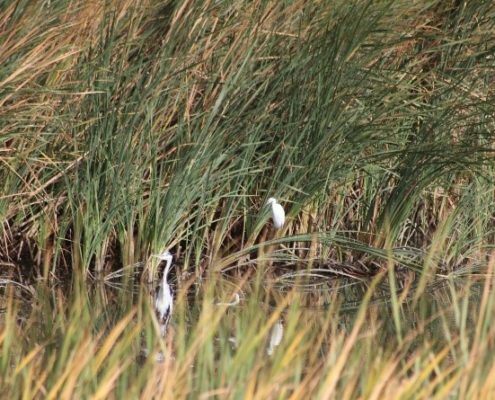 This wetland reserve is 140 ha in size, with 87 species of plants occurring on site. Alien invasives and illegal dumping are among the biggest challenges to this urban site. 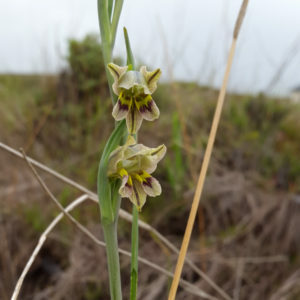 Aquatic and terrestrial plant species introduced to South Africa from other parts of the world form one of the greatest threats to the Cape Floristic region and may be responsible for the loss of species and shifts on the functioning of the ecosystems. Billions of Rands and a great deal of resources have been directed towards controlling the densification and spread of alien invasive plants and a National drive towards job creation through Expanded Public Works Programmes has taken place. 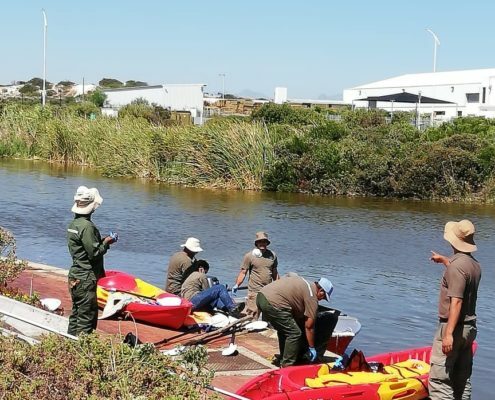 In Cape Town over 750 unemployed people have been employed through the EPW Programmes and managed by the Green Jobs Unit, a division of the Environmental Resource Management Department. CTEET currently contracts three people to assist with the Administration of the Unit as well as the scientific and technical aspects of alien plant control across the City. Stay up to date with our work and see how we are changing lives through nature. If you would like a monthly news update, feel free to join our mailing list. Meet the friendly, knowledgeable teams that manage our initiatives and projects. Meet the Cape Town Environmental Education Trust’s Board of Trustees. Find out how you can support our work, as an individual, organisation or corporation. See if there are any current vacancies or opportunities to join our team. 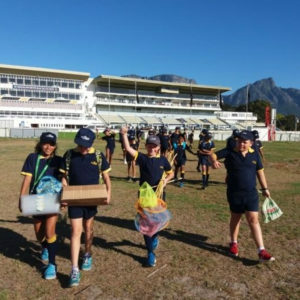 Supporting the preservation of Cape Town’s unique and biodiverse natural heritage through education, training and conservation initiatives.